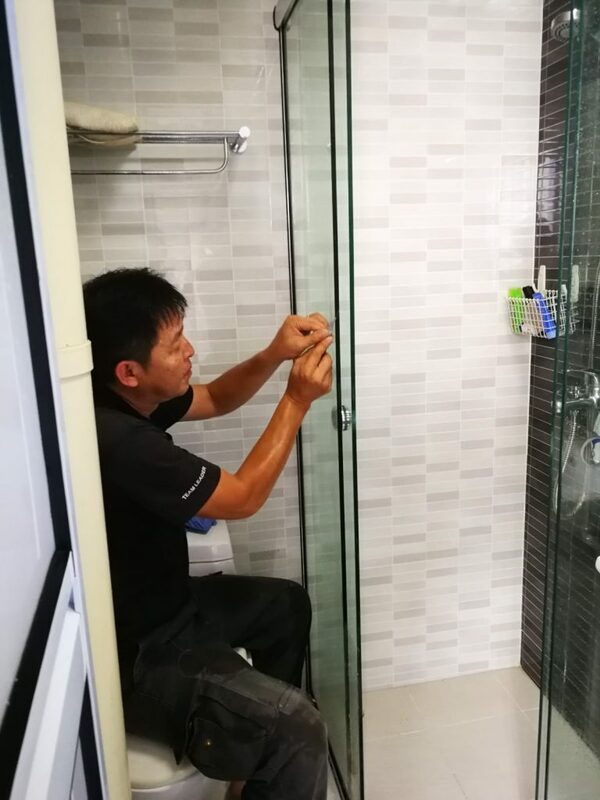 Thanks to the team at Jestac, I was offered an opportunity to redo the safety films for the shower screens in both the ensuite toilet and common toilet in my home. Thanks so much Jestac! 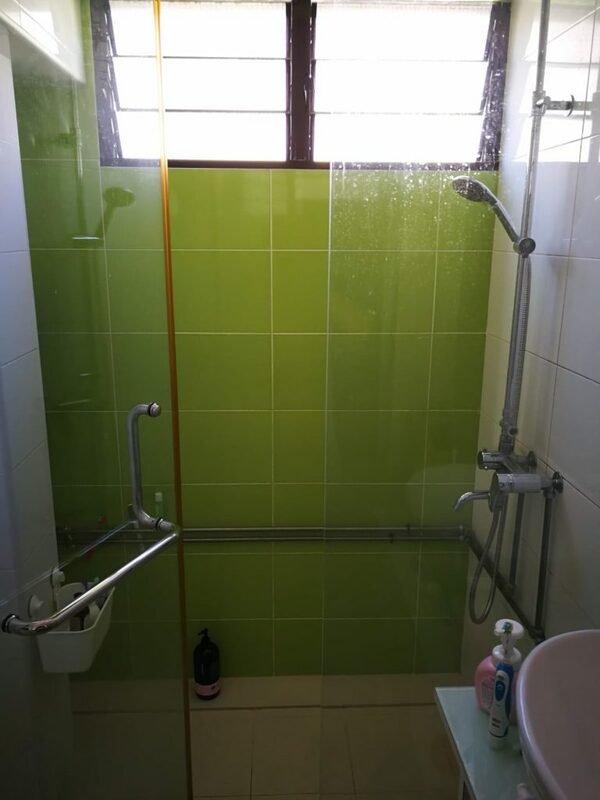 The shower screens in both toilets are not the easiest to deal with. The common toilet was small and there were 4 panels of glass to work with, and has 2 overlapping glass panels where they slide open. 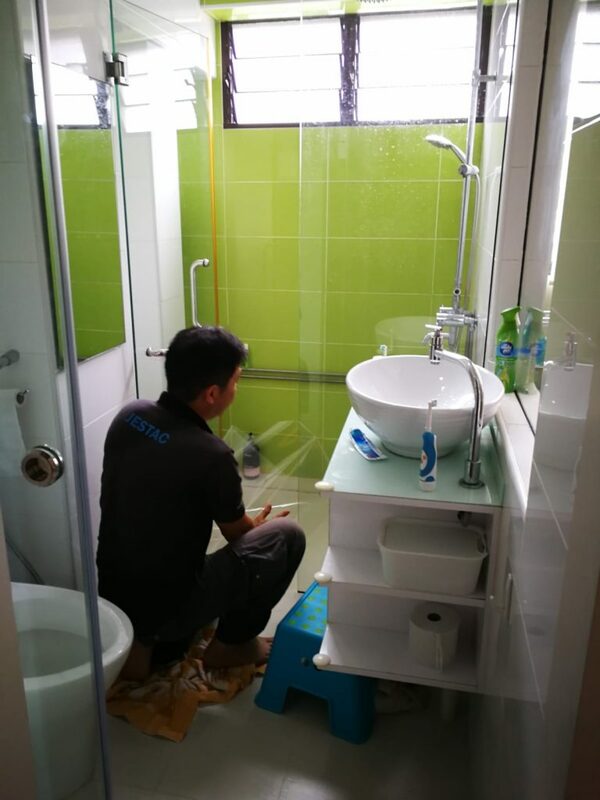 With the ensuite toilet, there was a narrow gap between the glass panel and countertop. Mr Chen and Raju definitely had their work cut out for them. The tiny space to work with for the common toilet! – trim the excess film off the edges. – No bubbles in any of the glass! So so happy with that. 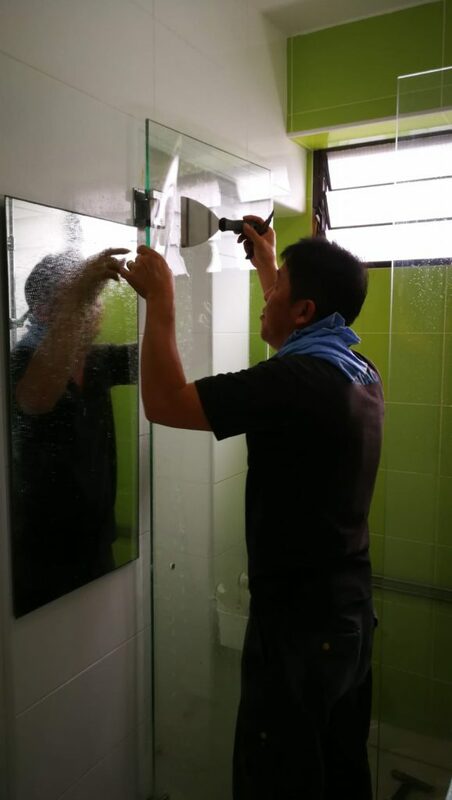 – they redid one of the glass panels in the ensuite when there was a speck of dirt under the film. I was worried about them having enough film, but they did! 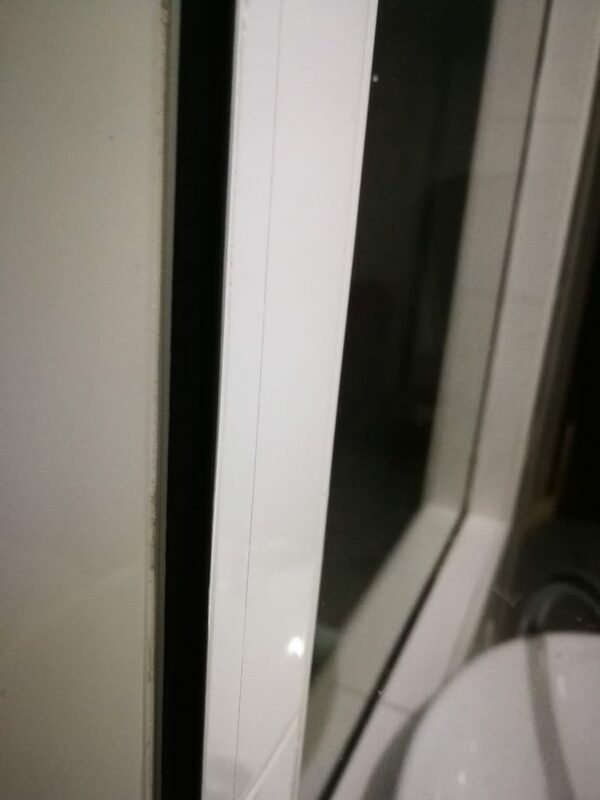 And they cut a fresh piece out to fit it on the glass. – Most of the edges were trimmed really smoothly! There were some uneven edges but it was all corrected after we told Mr Chen. 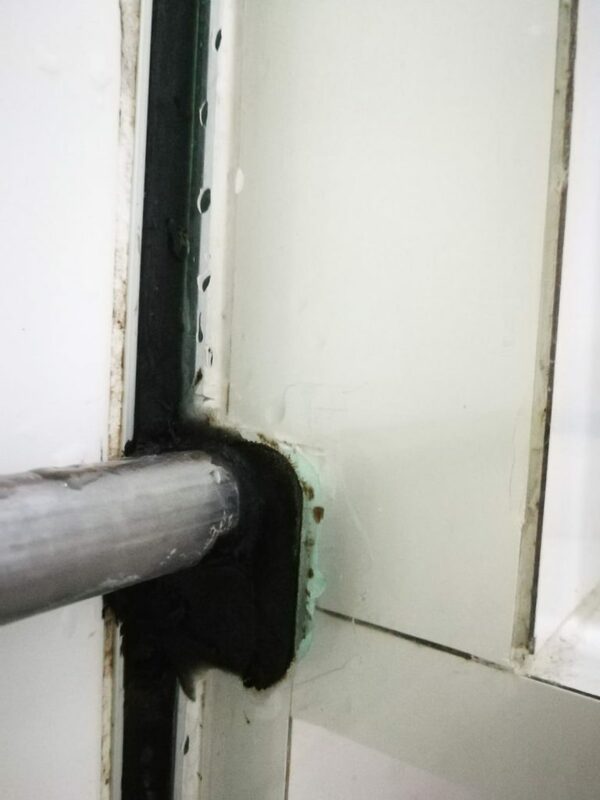 previous contractor’s ‘wonderful’ freehand. 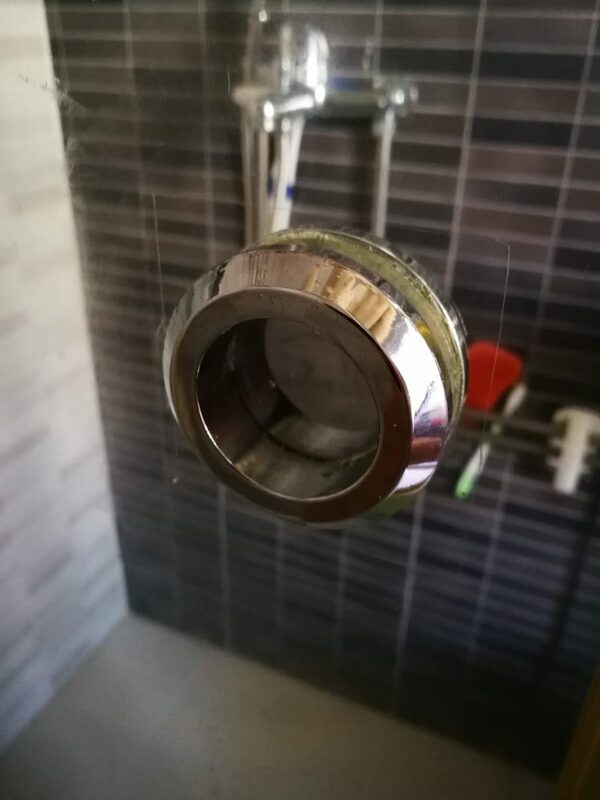 WTH, they cut a SQUARE around the knob okay. 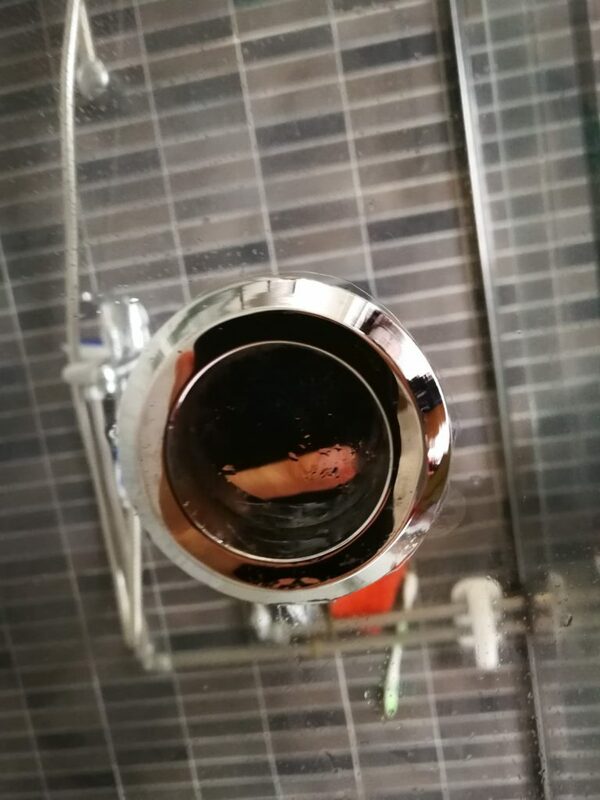 Overall, I am fairly satisfied with the job, given what I felt was difficulties in doing the job (Mr Chen had to sit on the toilet bowl at one point to adhere the film). 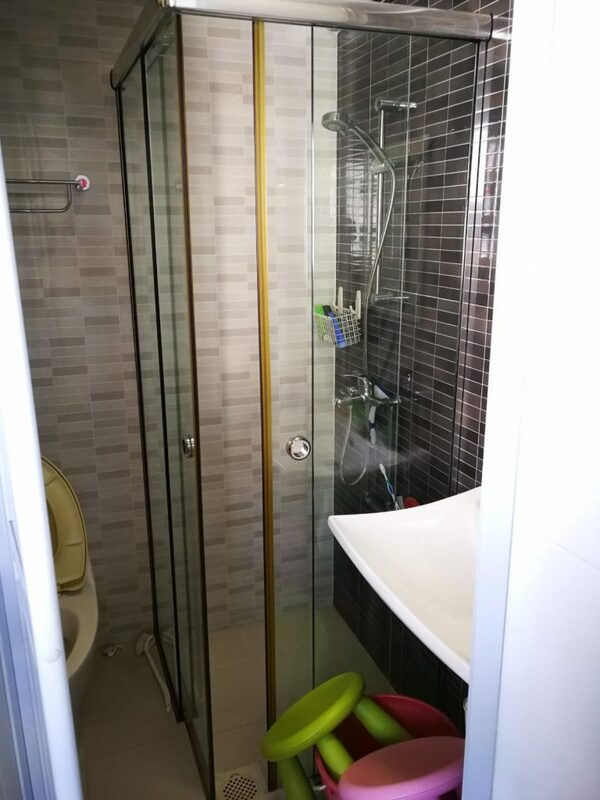 I was a little disappointed with the 2nd sheet of film for the ensuite glass panel but I did suspect it was due to the lack of time. They did complete the rest of the panels with no further issues (ie no short trim, edges nicely trimmed, smooth and no bubbling). Post job, we were given instructions to not wet the films for 2 weeks so that they would set properly. 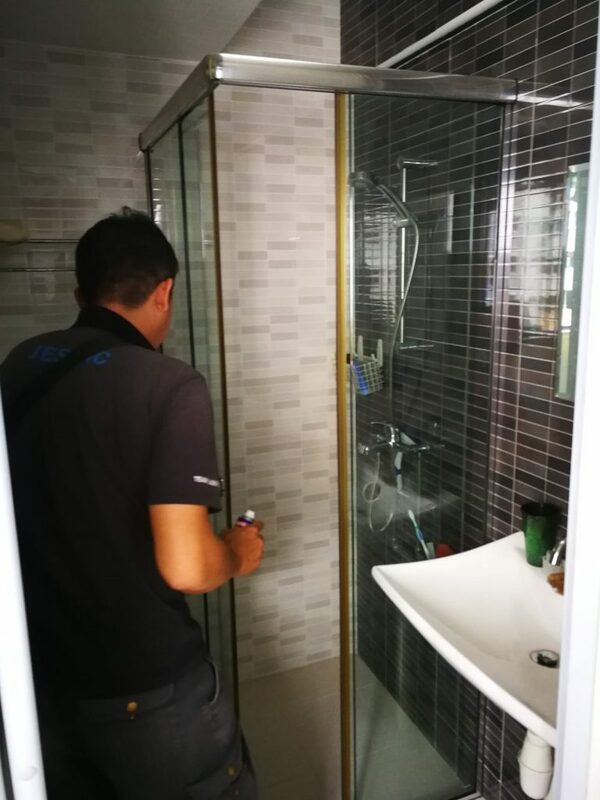 It wasn’t much of an issue as the films were stuck on the exterior of the shower area so no water would be splashed on it. Mr Chen did explain that consistent splashing of water on the films over time will affect the durability of it. It’s been almost a week and we are pretty happy there’s no bubbling so far!